The True Wireless Flash are near-perfect workout companions. True wireless headphone offerings are more diverse than ever, but it still takes the same key things to make a great product. We want to see five hours or more of listening time, a comfortable design, and waterproofing for when we take them to the gym or out in the Portland rain. 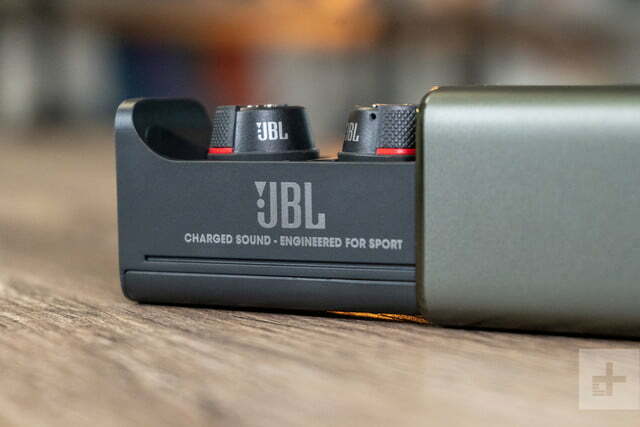 The new collaborative release from JBL and Under Armour, the True Wireless Flash, tick all those boxes and more, making them one of the best-sorted pairs of sport-ready true wireless earbuds you can buy right now. 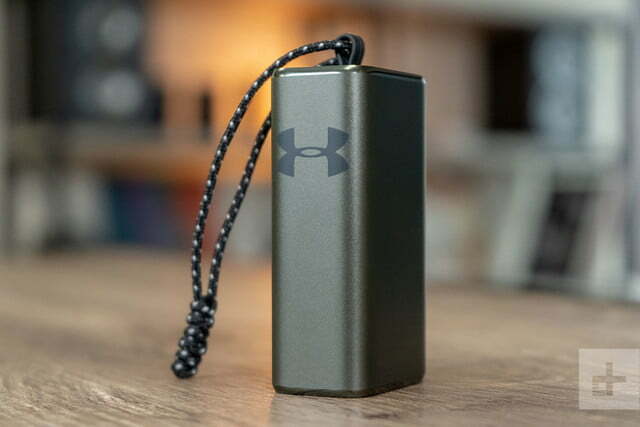 The headphones come in a rectangular aluminum charging case with a dark grey Under Armour logo to indicate which side should face skyward. This is important, because the case itself doesn’t feature the same treasure-chest lid as many other true wireless models. Instead, they have a sort of sliding shell, which wraps around the entire outside of the charging bay. To get to the headphones, you push on one side of the case, which slides the interior portion that contains the earbuds into view. Dipped in basic black and carved into a rounded shell, the Flash are among the more understated true wireless headphones we’ve tested. 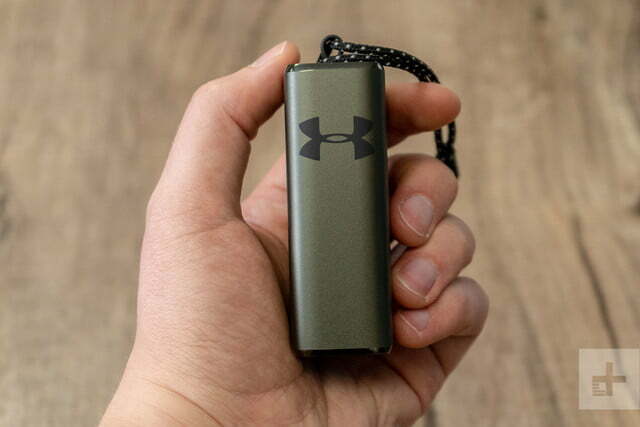 The only “flashy” bit is a pair of silver Under Armour logos on the exterior of each earbud, which delineate the buttons you’ll use to control the Flash. 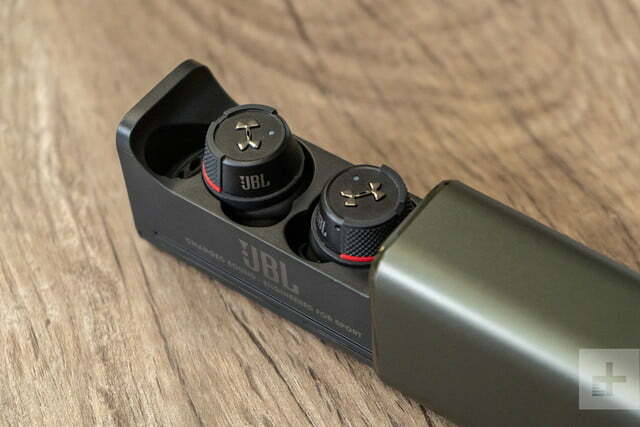 With three sizes each of silicone eartips and soft earfins included, JBL and Under Armour did their best to all but guarantee a great seal and comfortable fit for potential buyers. 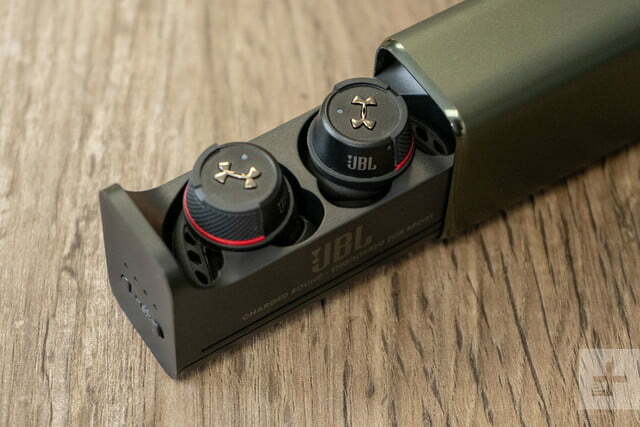 Still, it is worth noting — as is the case with most true wireless options — these may feel a bit bulky in smaller ears. 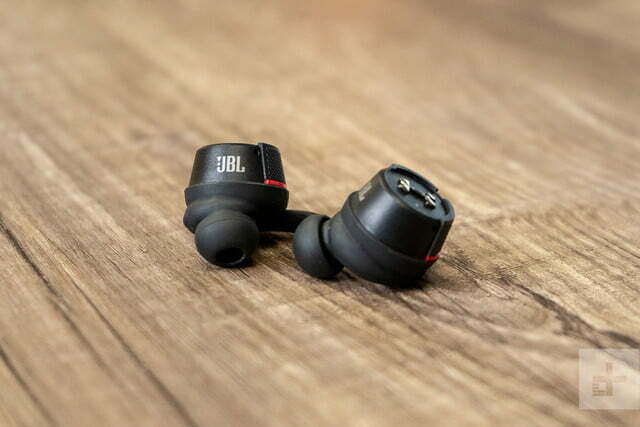 When compared to other models of similar size, like Jabra’s Elite Active 65t, we’d actually give the comfort edge to the Under Armour/JBL model, due to just how great the earfins feel inside your ears. Pop them in, get them situated, and you can easily leave them there for the entire five hours of listening time between charges. You’ll not be lacking for juice. Speaking of, you’ll not be lacking for juice. The True Wireless Flash are among the few true wireless models we’ve tested that compete with the Apple AirPods’ 24-hours of battery in the charging case, offering 20 hours in the case to bring the total playback time on the go to 25 hours. That brings us to our only real gripe about the Flash’s design, which is that the aforementioned charging case is quite large compared to most competitors. If you don’t have a purse, backpack, or very large pockets, it’s a bit of a burden keeping the case with you on the go. The Flash’s best feature? 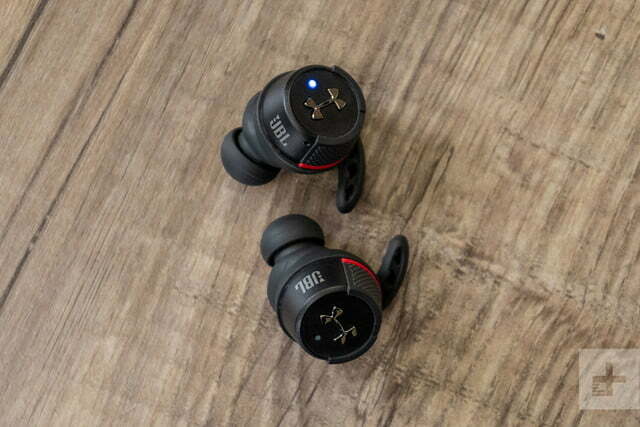 Their IPX7 rating, which means they are able to withstand being submerged in up to three feet of water for up to 30 — a nice touch for those of us who sweat buckets when working out, or those who live in rainy climates. 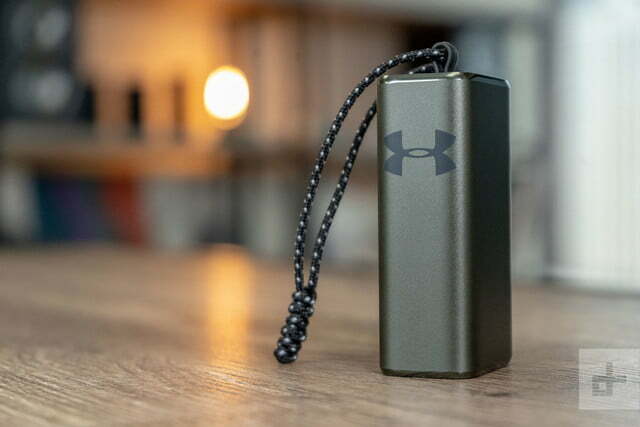 Workout enthusiasts will also appreciate that the headphones come with a free premium subscription to MapMyRun, an app owned by Under Armour that tracks advanced running metrics and typically costs $30 per year. 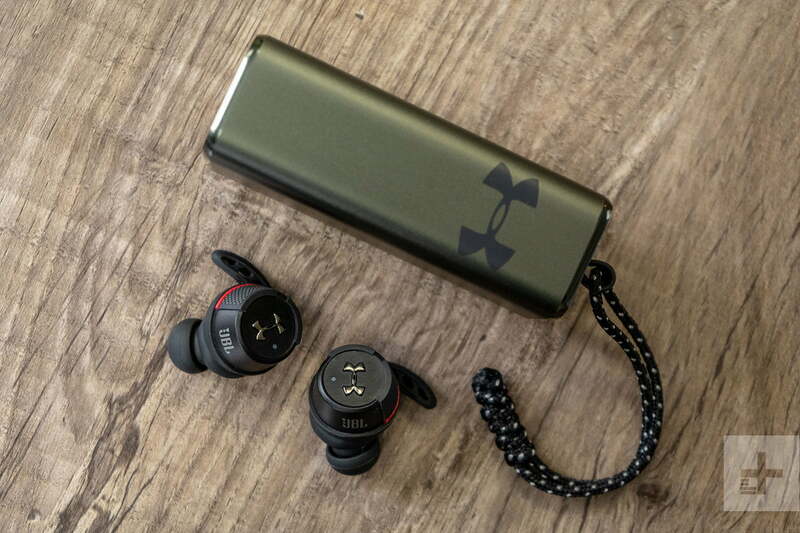 Controls, built into the Under Armour logos on each earphone referenced above, are simple and easy to use. Tapping the button on the right headphone pauses your music, with two touches advancing to the next track. 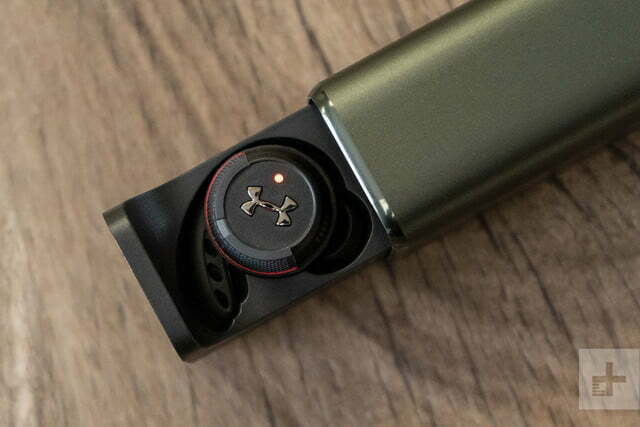 A single touch of the left button enables a mode called Talk Thru, which allows you to hear voices and sounds around you without muting the headphones. Holding the left button brings up your voice assistant. With the eartips providing great passive noise isolation, the True Wireless Flash have a very quiet soundscape over which to work their musical magic. 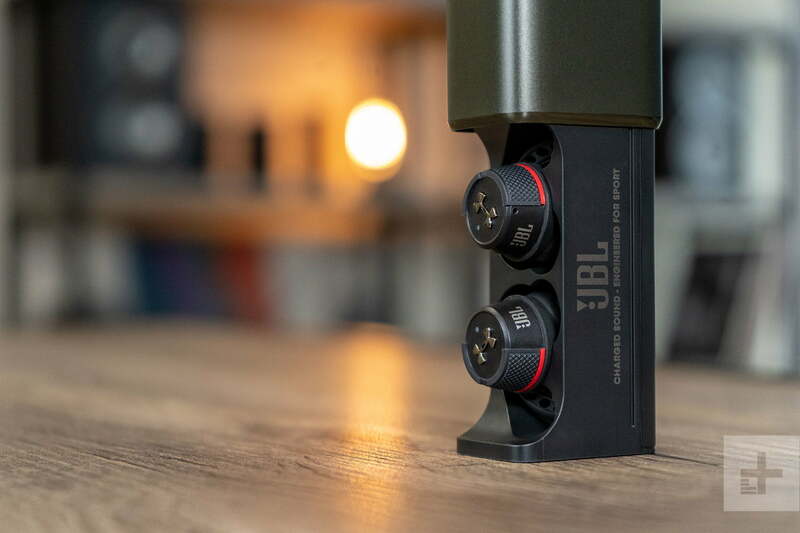 Sound quality is relatively impressive, with big bass matched by crisp detail up high, making everything from hip-hop to jangly acoustic music sound good. 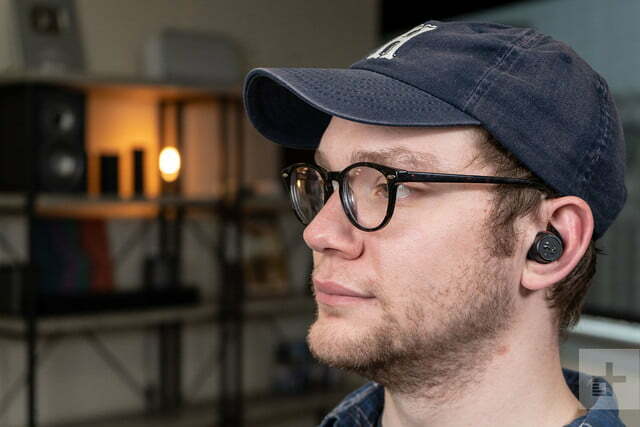 As with most other pairs of true wireless headphones – with a few exceptions like Sennheiser’s awesomely high-fidelity $300 Momentum — the sound quality is expectedly limited, matching up with wired in-ear headphones that cost about half the price. Such is the compromise you’ll need to make for total wireless freedom. YouTube and Netflix videos watched on a phone were a bit out of sync. One boon to the sound quality was how securely the headphones fit in our ears during testing. You won’t worry about them falling out of your ears during tough workouts. Plus, where other true wireless buds tend to jiggle around and make your music sound a bit wonky during runs and more physically active workouts, these stay right in place, maintaining a pleasurable listening experience. On the bad side, they don’t do very well with video. YouTube and Netflix videos watched on a phone were out of sync – an issue we’ve encountered with other true wireless models, but one we’re seeing a lot less often in 2019. This may or may not be a big issue for you, depending on how much mobile video you watch. It’s also worth noting that we got less lag watching on a PC. JBL covers its products from defects in materials or workmanship for one year from the time of purchase. 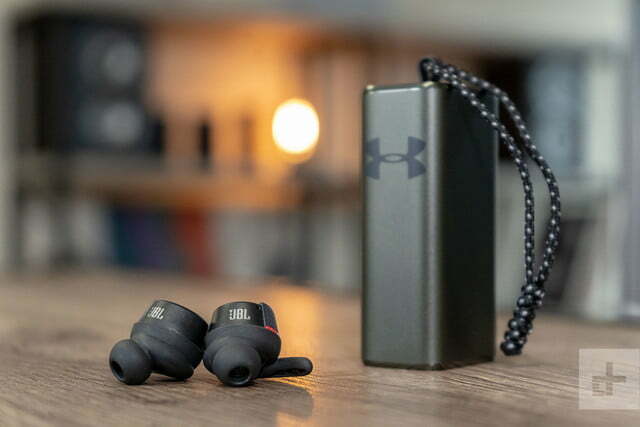 The JBL/Under Armour True Wireless Flash are a great pair of workout headphones that can also pull double duty for your daily grind. With serious waterproofing, solid battery life, and a comfortable fit, these are some of our favorite sport-aimed true wireless headphones out there. The most similar competitor we’ve tested are the Jabra Elite Active 65t, which offer the same battery life, similar waterproofing, and slightly better sound quality. If you’re looking for a pair of workout headphones it’s a bit of a toss-up, because though we prefer the Elite Active for daily listening (and because they have an excellent microphone array for calls), the Flash are more comfortable and stable during sweaty workouts. 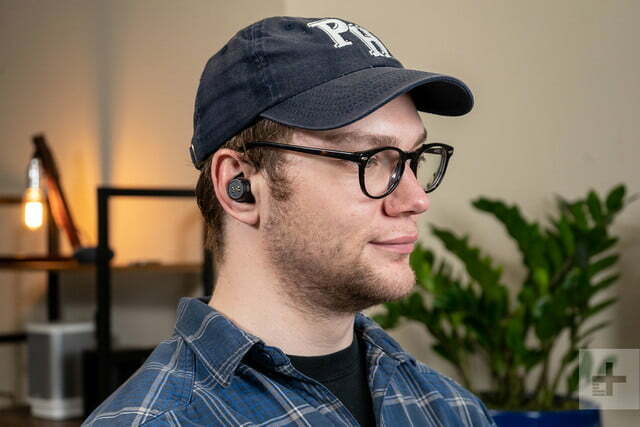 Those looking for a pair of true wireless headphones with similar features but who don’t plan on getting super sweaty might consider the Samsung Galaxy Buds, which cost less and have an hour more playtime per charge, but only boast an IPX2 rating. With an extremely solid case, IPX7 waterproofing, and the pedigree of a major audio brand, these headphones should last for years of solid use. 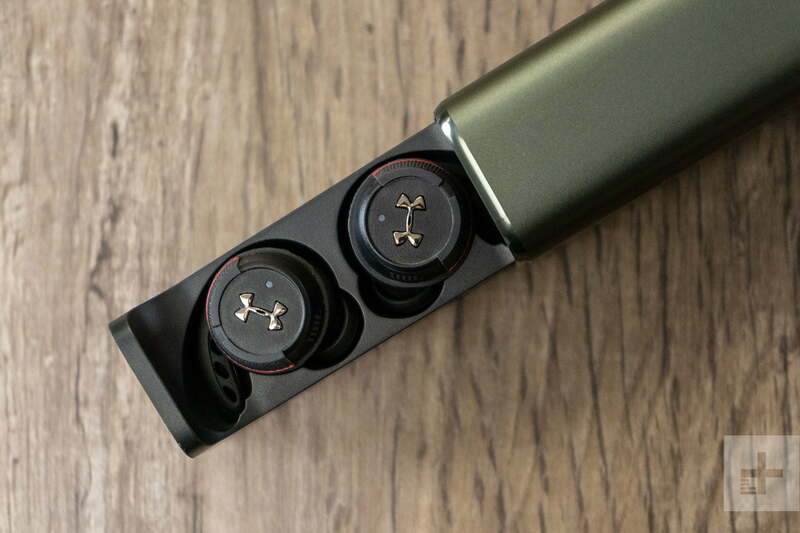 The only thing you should worry about when it comes to any true wireless headphones is the battery, which will degrade over time. Yes. If you want a pair of true wireless headphones that are both life-proof and workout ready, the True Wireless Flash are a great pair that are well worth your cash.